A leftist candidate, Andres Manuel Lopez Obrador, has claimed a landslide victory in Mexico's presidential elections. According to the latest vote count, Obrador secured the support of about 53% of the voters. The politician is known as a vocal opponent of the Trump administration's policies. Sputnik discussed the relations between Mexico and its northern neighbor moving forward following the vote with Dr. Pablo Calderón Martínez, Lecturer in Spanish Studies at the School of Languages and Social Sciences at Aston University, UK. 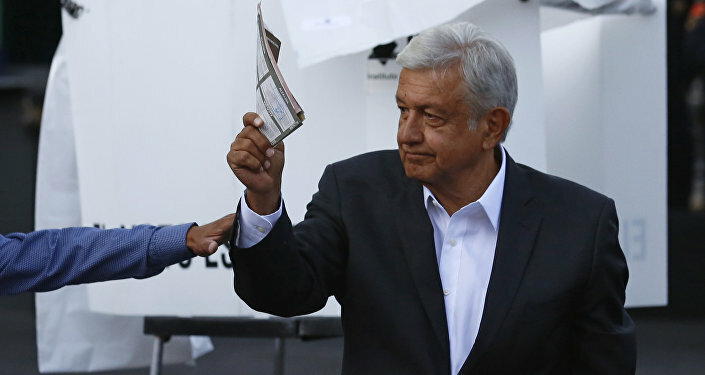 Sputnik: This is not the first time Mr. Obrador has run for the presidency. What factors played into Mr. Obrador's victory now? Dr Pablo Calderón Martínez: I think Lopez Obrador has simply managed to capture the stance that most Mexicans feel about the Trump administration, about the policies of the Trump administration: there's a big difference between what you can say and what you can get away saying as a candidate and what you can actually do once you're in power. I don't think there's going to be any open aggression or open confrontation with the United States because that obviously does not benefit Mexico and that, certainly, does not benefit the US either. Sputnik: What are your expectations for the US-Mexican NAFTA talks moving forward? Dr Pablo Calderón Martínez: I think, obviously, the ideal scenario for both the Trump administration and the Peña Nieto government was to finalize the NAFTA talks before all this, shall we call it, mess. So I would expect NAFTA negotiations will be put on hold until, obviously, Andres Manuel takes power in September and then they'll have to be put on hold until the midterm elections in the US, so for now I think I would expect things to cool down a little bit. I don't see how the Peña Nieto administration could justify renovating the agreement or renewing the agreement as a lame duck president, knowing perfectly well that they've not only lost the presidency but they've lost huge amount of support in Mexico. I think that would be very controversial for the current administration if they were to push forward with NAFTA renegotiations, so I will expect things to come down for the time being, and then see how this relationship develops between President Trump and Andres Manuel Lopez Obrador and see if there's any room for compromise or maneuvering in NAFTA. Dr Pablo Calderón Martínez: They have indeed, but let's not forget as well, that in this particular scenario Mexico is not necessarily vulnerable or too vulnerable. 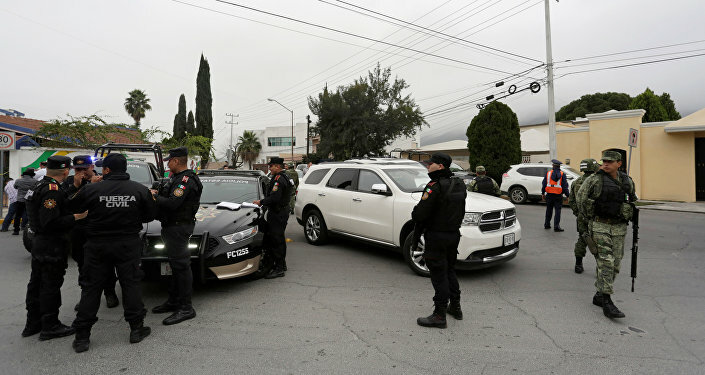 There's retaliatory measures that Mexico can take as well, not only in terms of trade, but also in terms of security cooperation, and I think to a certain extent because of the whole idea behind Lopez Obrador and the way he wants to deal with the drug problem, that may actually give him a little bit of an advantage point in negotiations with the United States, particularly, in terms of security, and I think that's a real Achilles heel of the US when it comes to dealing with Mexico. Mexico has a huge stake as to where it can actually hit the United States in terms of security cooperation, and if the overall economic structure of North America were to collapse, I would see no incentive for the Mexican government, particularly the Lopez Obrador government, to keep cooperating in terms of security with the United States and that would be a big, big problem for the US administration. Sputnik: Do you think Mexico will perhaps develop closer ties in terms of trade with Europe and Canada in view of US hardline tariff policy? Do you think they're going to start searching for other partners seeing that the United States is currently poised to be very protectionist? Dr Pablo Calderón Martínez: This is something that Mexico has been trying to do for decades really. The problem is when you have a 2,000-mile border with the United States, the largest market in the history of mankind, it's very hard to break that dependency, it's almost impossible. So no matter how hard Mexico tries or has tried in the past to diversify its economic relations, it's very, very hard. I'm sure there will be attempts from the Lopez Obrador administration to diversify a little bit, but we have to understand that the Mexican and the American economies are so close together, so intertwined and so integrated that it would be a very hard thing to do to really somehow change this dynamic of economic integration for Mexico and for the United States as well. Sputnik: Now we can't talk about Mexico and the United States without talking about the migrant issue and, of course, Trump has been very stringent in approaching the issue. What do you think we can expect to develop further, has Lopez Obrador said anything that he plans to do regarding migration? Dr Pablo Calderón Martínez: He had very strong words of condemnation for Donald Trump, far stronger words than any of the two other candidates, and that sold well and that was seen very positively by the Mexican electorate I think and, perhaps, Lopez Obrador can take a hard stance vis-a-vis Donald Trump regarding the migrant situation, but at the end of the day I think it's all going to come down to the personal relationship they develop. I do think this is, obviously, a very controversial issue, to say the least, this policy of separating children from their families, it's a terrible policy and I think again that there has to be some sort of solution to this problem that has to come through corporation. It may be that things get worse before they get better but I think eventually reason has to prevail.